A membership-based video feed website. This is a membership site to provide a support portal for a series of YouTube channels. The site features advertising for non-paying visitors, ad-free for logged in users, public and private pages, RSS feeds from other blogs, and more. 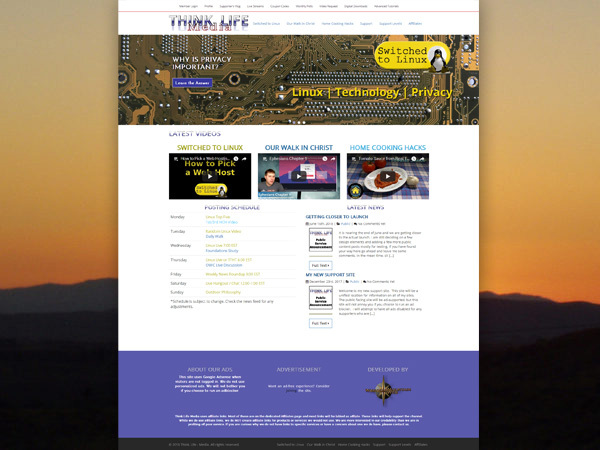 This is custom WordPress built on Bootstrap 3.